The Singapore Suites experience is unlike any other that you will ever encounter in your lifetime. My wife and I got to experience it firsthand May 2016, and it was unbelievable. In terms of awesome mile redemptions, I spent 173,500 miles for a flight that costs $8,121. 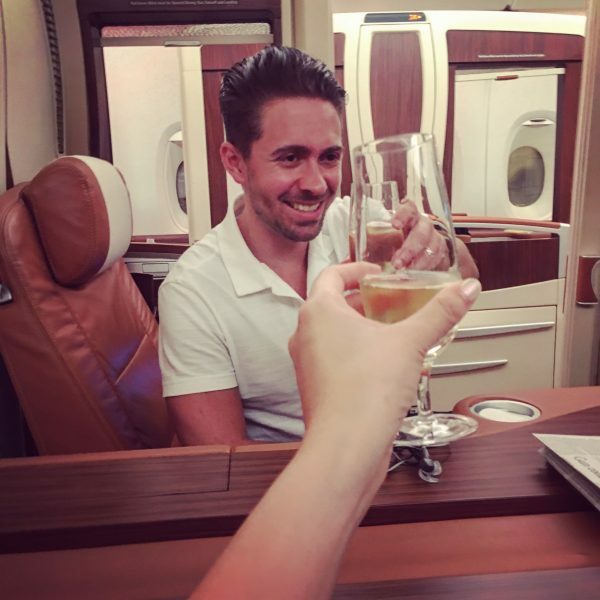 My flight hacking experience began just two years ago when I took my first business class flight from Orlando to New York (it cost $50 to upgrade), and ever since then I dedicated myself to figuring out this “points” game so I could always fly first class with my wife. To redeem this flight I transferred my Amex Membership Rewards points to SingaporeAir.com and redeemed the Suite Class cabin from SIN to JFK with a stop in FRA (Frankfurt). 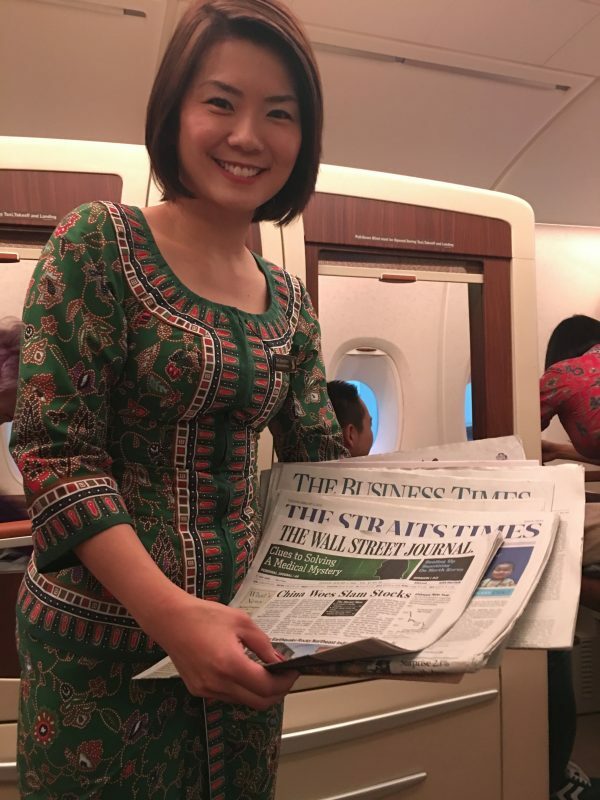 My original flight booking was on Saver, and before the SingaporeAir devaluation. There are of course tons of other great credit cards for free flights, among them are the Chase Sapphire Reserve (which had a 100,000 sign up bonus on launch) and the Citi Prestige that you could have also transferred your points to get this flight. 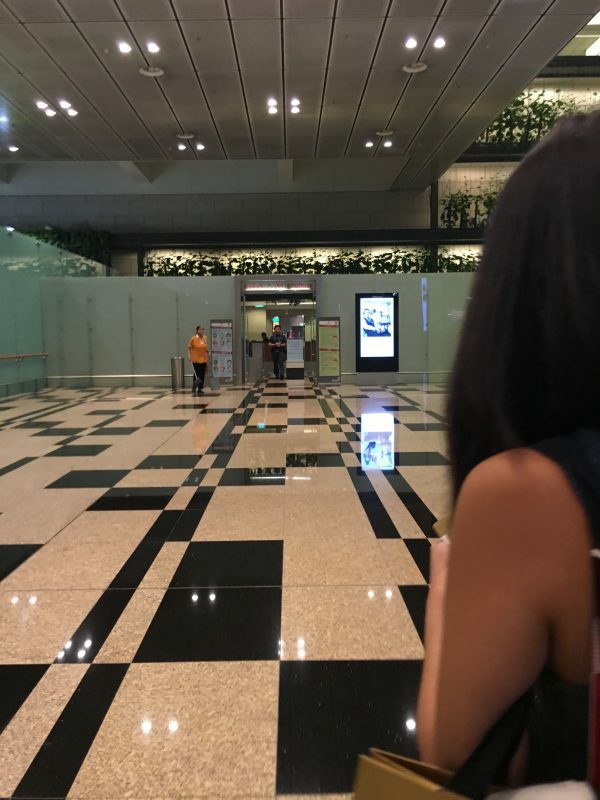 Below is my journey from SIN airport through their private lounge, private check-in area, and 3-course fine dining experience prior to our flight. 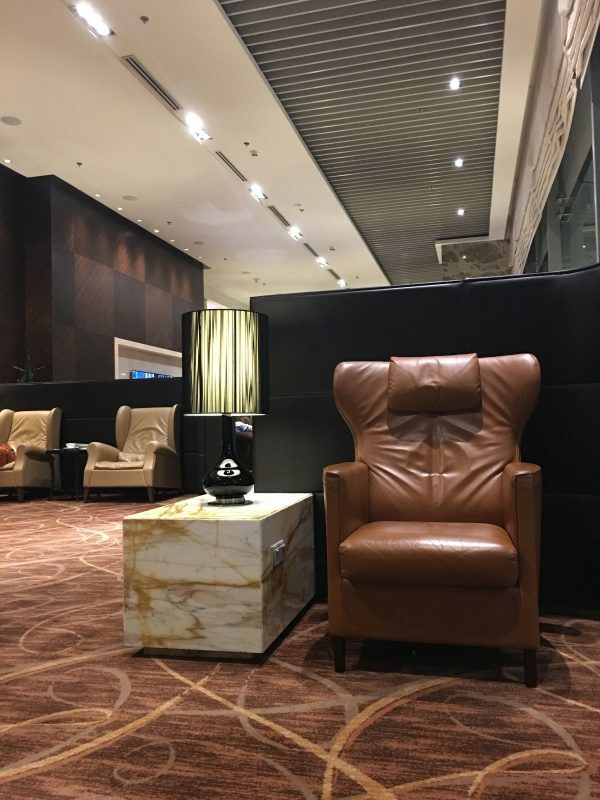 You are greeted almost the moment that your feet hit pavement at the terminal and are led through check-in, passport control, and the like so you can immediately whisked off to the Private Room. It is here that the real luxury begins. Imagine for a moment that you are seated in a mansion in the middle of the Alps. Tall ceilings, expensive leather sofas, and all of the privacy that you could ever ask for are waiting for you the moment that you enter. Here, you are able to wait for your boarding time in peace. There are no pesky loudspeaker announcements, no running children, and no closely seated chairs that you must share with strangers. I typically lounge around and read a book, or spend my time at the adjacent restaurant. In the restaurant, customers are invited to dine on some of the world’s most delicious delicacies — lobster, truffles, and champagne are the name of the game here. 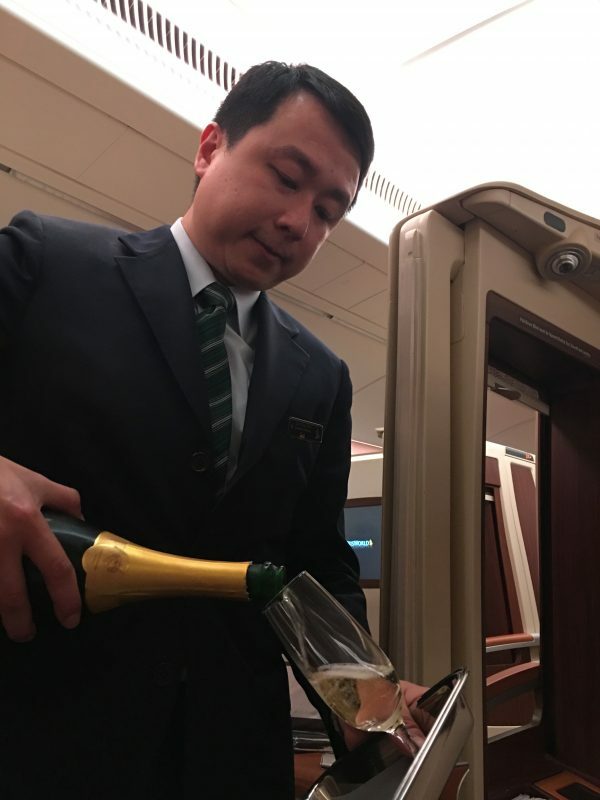 Every single Singapore Suites flight members that you come into contact with is both charismatic and courteous. It is clear that they know how to treat their clients and it is their mission to make every single person, whether they’re millionaires or managed to snag a flight using their points, feel like royalty for a day. When it does come time for you to start the boarding process, all you have to do is head down a set of stairs and through the boarding gate. This is only a sneak preview of the treatment that is to come. What is the boarding process like? Suites passengers are invited to board at any time that they’d like, so it is entirely up to you when you want to get settled into your room. When you do decide that it’s time, a crew member will meet you and walk you directly to your reserved suite, which is amazing. They like to call you by name, which adds a very nice personal touch that is often lacking in commercial airlines. They also like to give you any and everything that you could possibly want before you even think to ask of it, almost as though they know you and your needs better than you do. The moment I sat down, I was offered an assortment of newspapers and magazines, as well as a drink. No waiting around for the flight attendant to come up and down the aisles with her cart? Count me in! 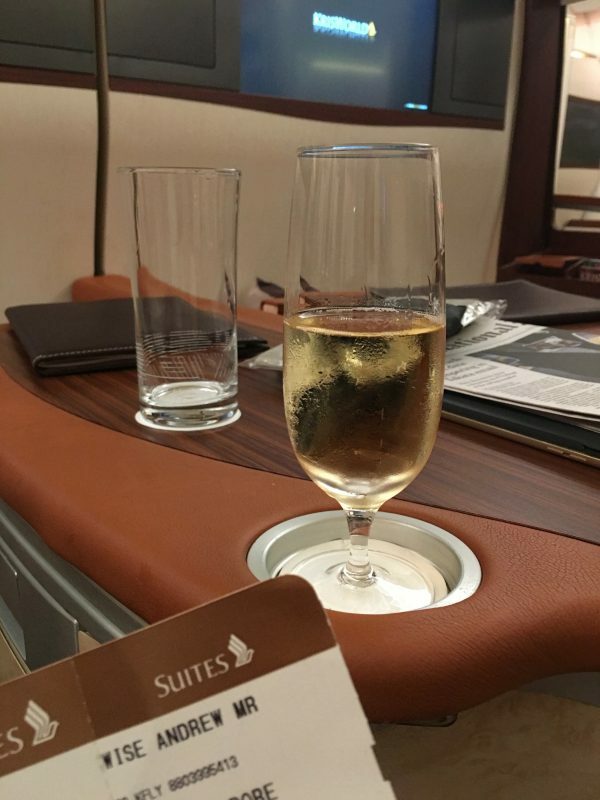 I ordered a glass of expensive champagne and it arrived in what felt like seconds, which is something of a theme when it comes to Singapore Suites. Everything that you need is right there, waiting for you to take advantage of it. What are the suites themselves like? 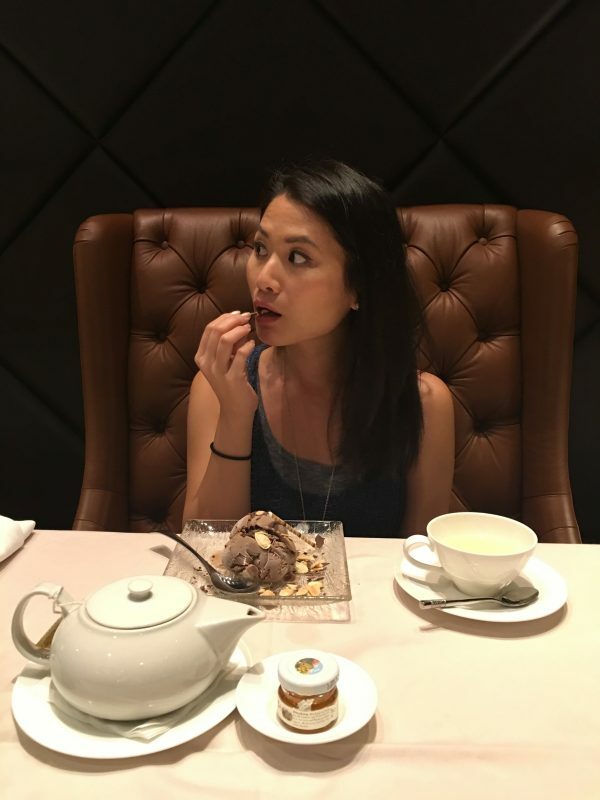 If you can imagine a small hotel room inside of an airplane, Singapore Suites is just that. 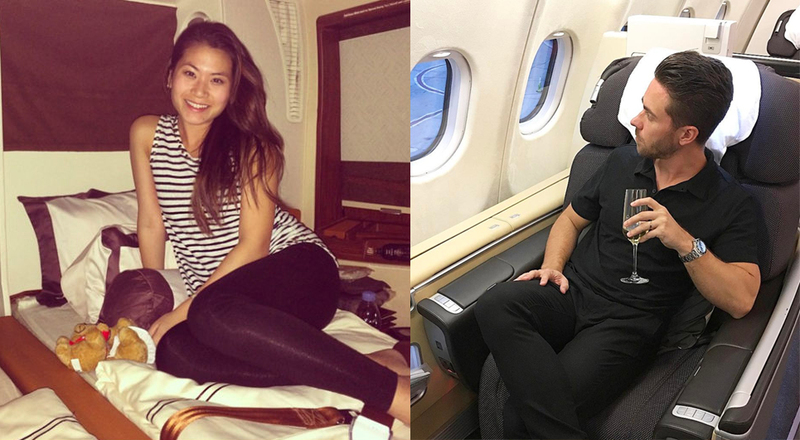 For couples traveling together, which my wife and I frequently do, Singapore offers the additional option of a double bed, which makes flying for long periods of time even better. For singles, the bed lies completely flat and stretches out the entire length of the suite. There is also a foot rest, USB spaces to charge your electronic devices, and even electrical outlets. Fliers receive plenty of “treats” as well. The television comes with Bose noise canceling headphones, and the amenity kit by Salvatore Ferragamo comes with a face washing towel, hand cream, lip balm… Basically anything that you could possibly need. Additionally, complementary pajamas, socks, and eyeshades are provided so you can get a good night’s sleep while in the air. There are 2 bathrooms reserved exclusively for Suites customers, and those bathrooms come with kits of their own that offer toothbrushes, toothpaste, shaving cream, etc. Basically, there is nothing that you will want or need while you are in their care. My wife and I typically like to snuggle into our pajamas and then head over to the table to enjoy a nice meal before bed. What is the meal service like? Airplane food has a reputation for being about as desirable as hospital food… So not desirable at all. Much like Singapore Suites has changed the name of the game for flying, they’ve also changed the name of the game for food service. 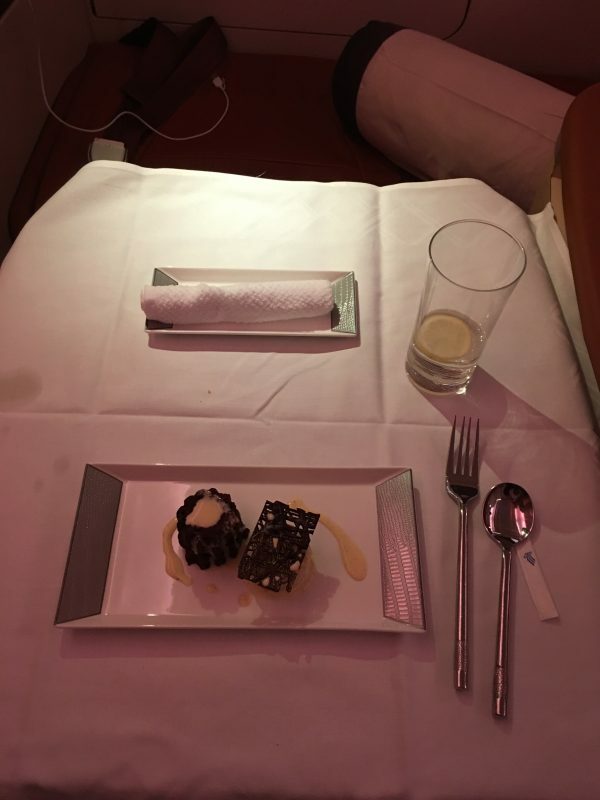 If the Private Room’s restaurant was any indication, I knew upon boarding my first Suites flight that I was going to receive a truly exceptional meal and I wasn’t disappointed. The menu itself is so expansive that it comes in at over 20 pages long. 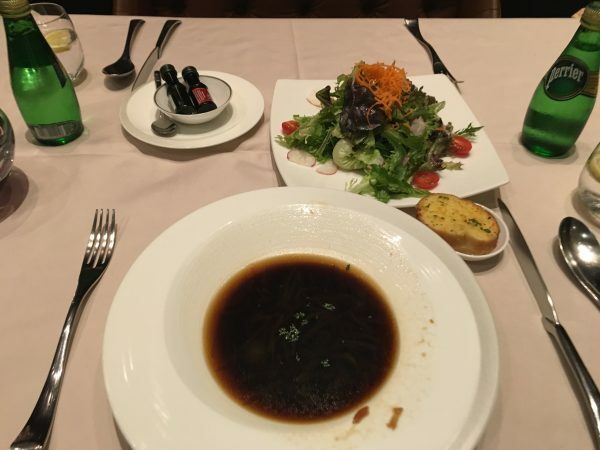 Every meal is meticulously created to look and taste absolutely delicious. You don’t just get one meal, either. Dinner is served in parts: appetizer, soup, entree, and dessert. Breakfast offers customers a variety of fresh juices, coffee, and tea, fruits, waffles, eggs, and just about every breakfast item that one could possibly imagine. Whether eating dinner, breakfast, lunch, or brunch, customers in the Suites area are permitted to eat whenever they want. The crew members are eager to make your trip as enjoyable as possible, and there is no denying the fact that they do exactly that. 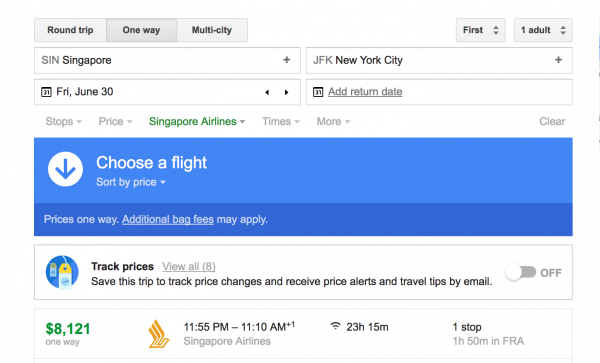 If you are paying out of pocket, a Singapore Suites ticket from Singapore to New York will cost you around $8,000. For most of us, that isn’t a drop in the bucket by any means. So being able to use 225,000 KrisFlyer miles is totally a great redemption. That’s $.035 points per mile. 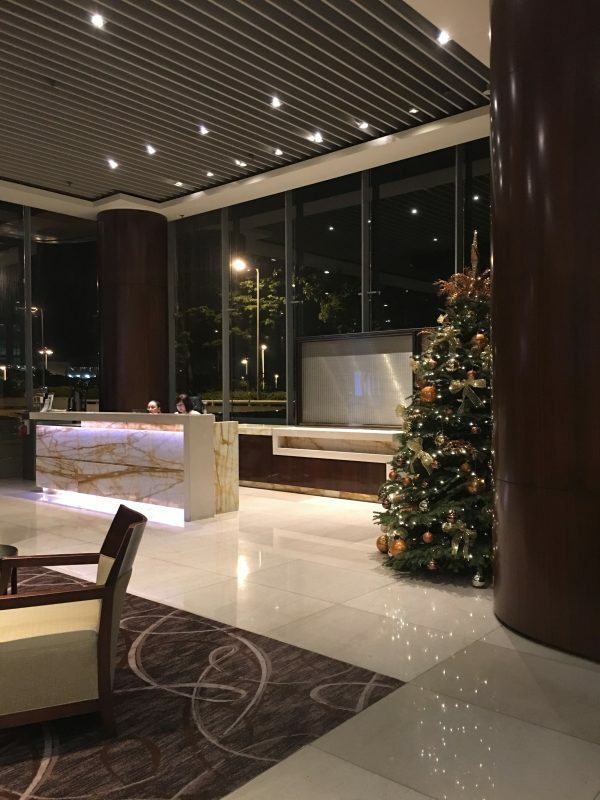 But if you manage to get the opportunity to take a Suites flight, either thanks to points or because you received a discounted rate, then I highly recommend that you do so. It’s a once in a lifetime experience — probably not something that one would make a habit of doing unless they were ridiculously which, but something that should be experienced by all at one point or another regardless. 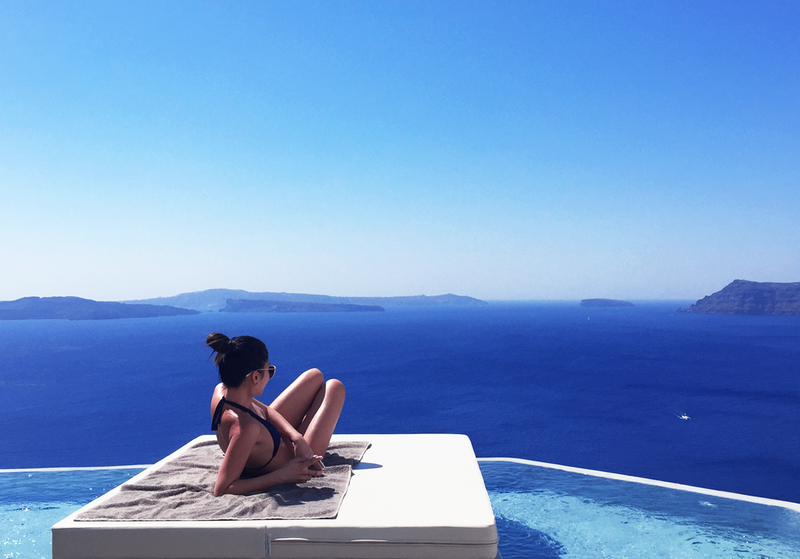 If you enjoyed this trip report, check out another amazing trip report to Europe to visit the most unbelievable hotel in Santorini where I also flew Singapore Suites Class! This is a guest post by Andrew Wise from LifeTailored.com, you can follow his adventures @AndrewUFL. Most of us engage in this hobby for the promise of aspirational travel. That said, you come across as a bit of a huckster in this post, which really isn’t the norm for Saverocity. Maybe a bit less self promotion.